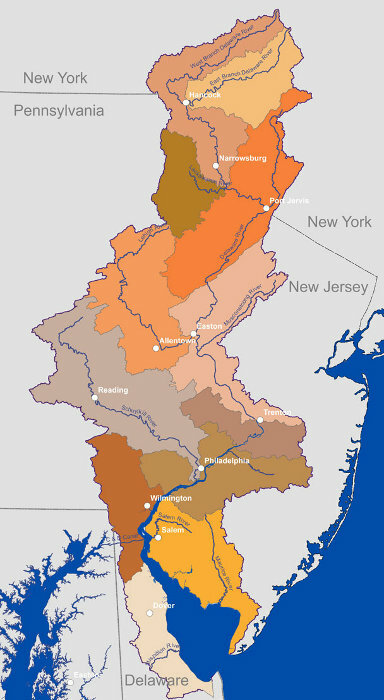 Local partners for the Delaware River Basin Source Water Collaborative include the US Environmental Protection Agency (Region 2 and Region 3), state environmental and health agencies of Delaware, New Jersey, New York and Pennsylvania, and the Delaware River Basin Commission. Additional participants in the ongoing effort include private and municipal water suppliers, watershed- and water resource-focused organizations, environmental advocacy groups and academic institutions. All interested stakeholders are welcome to share in the dialogue to improve source water within the basin. Contact us for more information. Who is the National Source Water Collaborative? The national Source Water Collaborative (SWC) is a coalition of 23 national organizations and agencies united to combine the strengths and tools of a diverse set of member organizations to act now, and protect drinking water sources for generations to come. Comprised of federal, state, and local partners, each national organization in the SWC understands and appreciates the importance of source water protection. Individually, each promotes implementation of source water protection in their overall mission. Source water protection means protection of drinking water supplies. Drinking water can come from ground or surface water, and a collaborative effort is needed to ensure that our sources of drinking water remain clean for future generations. Taking positive steps to prevent pollutants from ever reaching these sources can be more efficient and less costly than treating drinking water later. 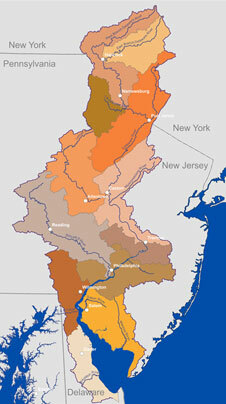 The Delaware River Basin rises in the Catskill Mountains and courses 330 miles and through 13,500 square miles of rural and urban landscapes to the Atlantic Ocean. Although the watershed comprises less than one-half of one per cent of the land area of the continental US, nearly 1,000 community water systems – using surface water or relying on ground water – depend on the water resources of the Delaware Basin. In addition to domestic water supply, there are a variety of water uses in the Basin – for recreation, fisheries and wildlife, energy, industry, navigation – and the watershed is characterized by diverse land uses – from forests to agriculture to urban landscapes. The way we use our land and water now, and influences such as climate change and population growth, affect the quality and quantity of our water resources today and for the future.